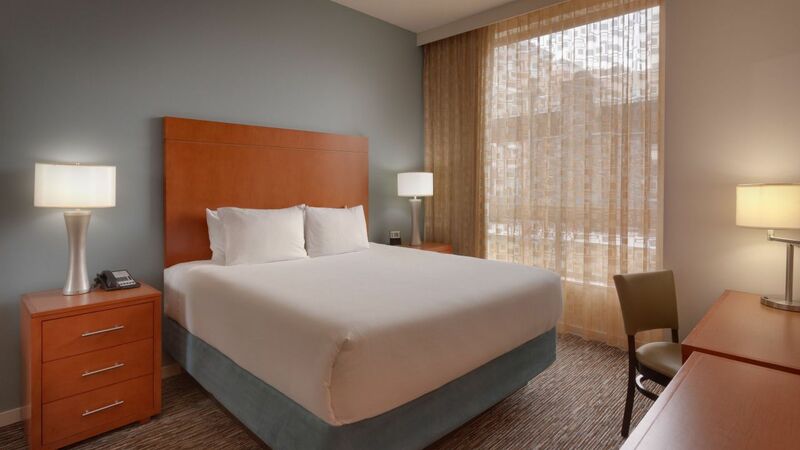 Settle in to our residential-style suites during your extended stay in Sandy. Our pet-friendly hotel doesn’t skip on the special touches that make Hyatt House suites so comfortable. Each suite features a fully-equipped kitchen, separate living and sleeping areas and dedicated work space, ideal for business travelers. 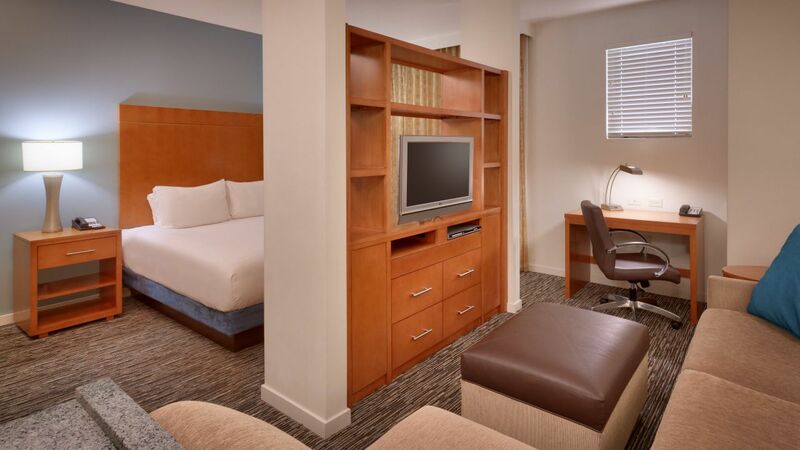 Relax in a spacious studio suite featuring a 425-square-foot open floor plan with one king bed, a living area with sleeper sofa, and a fully-equipped kitchen. Unwind in this spacious 567-square-foot suite with one king bed, a separate bedroom area, a living room with sleeper sofa, and a fully-equipped kitchen. Spread out in this two bedroom suite featuring two king beds, two bathrooms, a sleeper sofa, and a fully-equipped kitchen, set amid 912–1,100 square feet. Featuring 912–1,100 square feet of space, this two-bedroom, two-bathroom suite holds one king bed, two queen beds, a sleeper sofa, and a fully-equipped kitchen. This 425-square-foot ADA studio suite features one king Hyatt Grand BedTM, a roll-in shower, a sleeper sofa, and a fully-equipped kitchen. 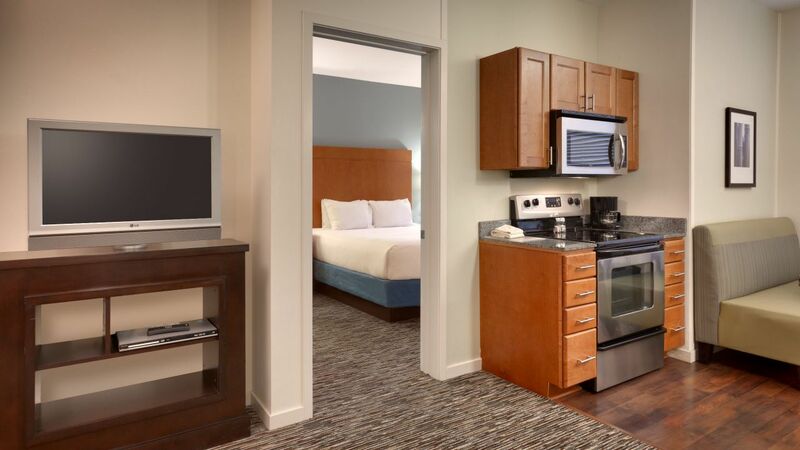 Relax in an ADA studio suite featuring a 425-square-foot open floor plan with one king bed, a living area with sleeper sofa, and a fully-equipped kitchen. 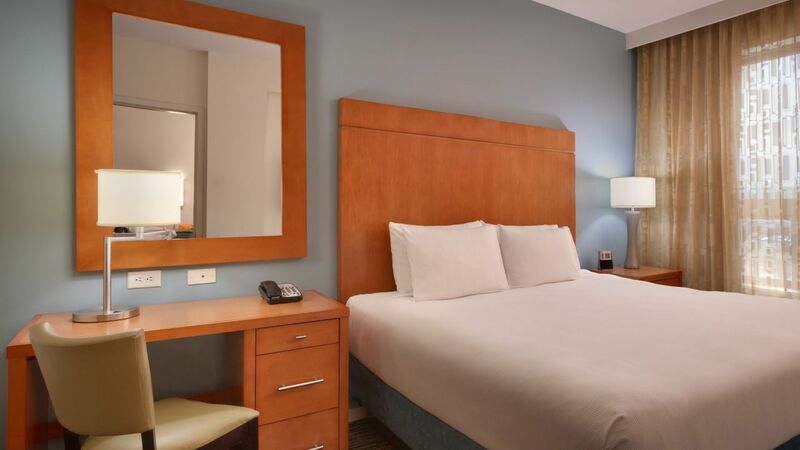 This spacious 567-square-foot ADA suite features one king Hyatt Grand Bed™, separate bedroom area, living room with sleeper sofa, and a fully-equipped kitchen. Relax in this 567-square-foot ADA suite with one king bed, a separate living room featuring a sleeper sofa, a fully-equipped kitchen, and an ADA compliant tub. This ADA two-bedroom, two-bathroom suite features one king bed, two queen beds, a fully-equipped kitchen, and a sleeper sofa within 912–1,100 square feet.